All cars and vans £54. Pit Start is the only garage in the UK that carries out all repairs and servicing in full public view. You are allowed to go into the work area and inspect the work while it’s being carried out by our professional and experienced mechanics. Our unique public liability insurance allows you to monitor the work and therefore providing complete transparency. We replace exhaust and catalytic converters for most makes and models as well as vans. From £50 an hour. We investigate, diagnose and repair most electric faults. From £50 an hour. 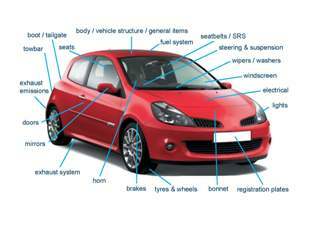 This includes anything from changing a clutch to gear box or an engine. From £50 an hour. We scout throughout the UK as well as Europe to find the classical car of your dreams as well as carrying out full body and mechanical restorations. We specialise in Mercedes Benz. Price on application.